Root Electric LLC, serves Southern Virginia to include Mecklenburg, Halifax, Charlotte, Lunenburg, Brunswick County’s. In North Carolina we serve Warren & Halifax counties. Root Electric LLC, will schedule an appointment for a free estimate to help you make a decision on the correct generator that can meet your needs and budget. At that point we can answer any questions or concerns that you may have and help you on your way to provide back up power for you. If at any time after your consultation, you can always reach out to go over any information with no obligation. 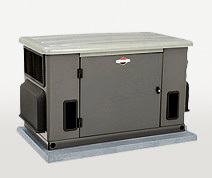 Root Electric LLC, is a generator dealer so we can arrange shipping for you. 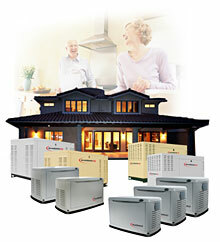 We are Factory Certified to install and maintain your choice of GENERAC, GE, Briggs and Stratton or Cummings generators. We walk you through each step including local permits, delivery, a review of the operation, maintenance for you generator and your weekly test. We maintain a list of propane companies at your request to meet your needs. Should your generator become inoperable we can explain fully what went wrong and order your parts in no time. We submit all the warrantee paperwork for you, leaving you worry free. Being a Certified Technician we maintain and service your generator of choice. A friendly phone call from us will remind you that your maintenance is due. Just like a car it is important to service your generator. You’ll need an oil & filter change and like everything else generators are computerized. We have all updated computer programs so any problems that do arise we can expedite the situation, explain what is wrong and get you back running. Keeping our customers satisfied is what it’s all about.